It’s hard to believe, but winter is just around the corner. The cooler temps make it a great time to do some winter prep in your yard, as well as some tasks that will make your lawn even more beautiful when the snow melts and spring returns. Fertilizing: If you only feed your lawn once a year, autumn is the best time to do it. Grass takes a break from growing during summer due to the heat. You’ll want to give your lawn a shot of nitrogen to help it along in the early autumn. In fact, your lawn could take a light application of fertilizer in early fall and again in late fall. Mowing: As temperatures cool, your lawn will grow faster. You’ll likely need to mow regularly through the end of the season. Once it snows, shorter grass will help reduce matting that may contribute to snow mold. Aerate: Getting oxygen to your lawn’s roots will help it flourish. Pro tip: use an aerator on a day when the soil is moist, not dry. Weed Control: Work smarter, not harder. Fall weed control kills perennial weeds, such as dandelions and thistle, more effectively than spraying in the summer. Cleanup Time: Ditch that rake! Save some time and use your lawn mower instead. 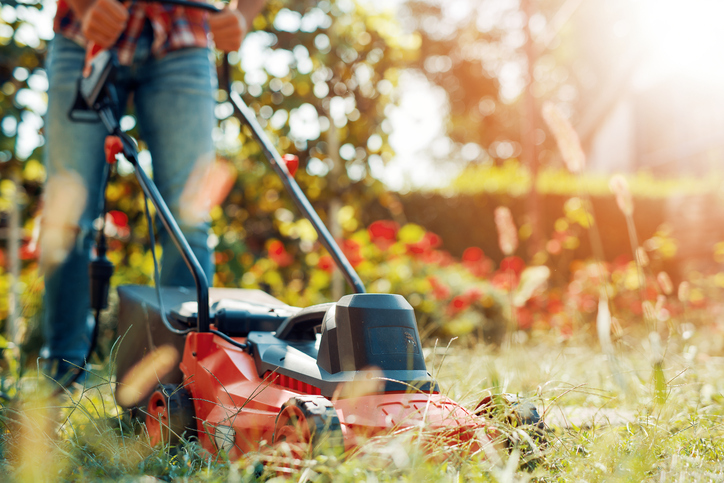 You can run your lawn mower over your lawn two or three times to chop them into fine pieces so they decompose and add to your soil’s structure. Overseeding: Autumn is also the ideal time to overseed your lawn. Most grasses in the midwest grow best when when the weather is a little cooler – under 75 degrees. Be sure to give your new grass about a month before your first average first frost so it has plenty of time to establish itself. Your lawn, and home, is a great source of pride. Let us help you create a beautiful foundation for you and your family to enjoy for many years to come. Contact us to learn more about our approach to land development. We would love to discuss available lots and opportunities with you.